Most of the people in India recharge their mobile and DTH bills at offline store. However, the trend is changing in cities were people are using online stores to perform the recharges. There are websites like Paytm.com amd Freecharge.com that allow users to do mobile and DTH recharge online with few clicks. This makes it convenient and less time consuming. Let us now see how these website help users save money on mobile and DTH recharges. a) Every user has to first register on the website and create a username with password. A valid email id is also required for the registration purpose. b) These websites allow users to do the recharge either by credit card/debit card or by net banking. Another option is to add the money in cash wallet and you can use the money later for future recharges. c) Some of the websites also offer cash back or coupons. This aspect is discussed in detail in benefits later in this article. a) Primary benefit is that one need not waste any time visiting the recharge store. One can do the recharge from his own home or office with single click. b) There are websites like Freecharge.com which offer free coupons on every recharge. I myself use coupons like that of MacDonalds every time I use the website for mobile recharge. c) With increasing competition among the online recharge websites, there are promotional offers for users as well. For instance, sometimes these websites give 50-100% cash back on all recharges. In order to save money with online recharge websites, one can make use of cash back offers. For this purpose, one has to keep checking the official blogs of these recharge websites. There are some coupon websites as well which provide details regarding the latest working coupons on mobile recharge websites. Examples of such websites are Freekaamaal.com and Desidime. Freekaamaal has a dedicated section for mobile charge offers. In some cases, users also get some free talk time just for downloading an app. Information about such offers is also available at these coupon websites. Just like mobile recharges, there are cash back offers on DTH recharges as well. a)User will first have to login on the website. 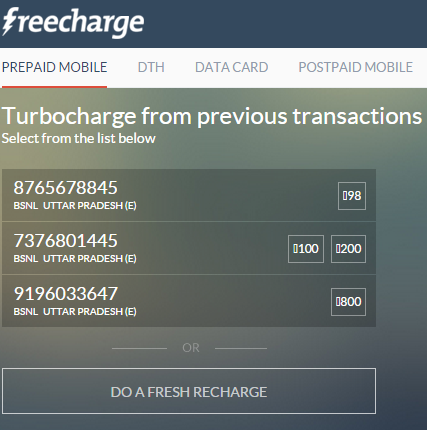 b)Thereafter user has to select "do a fresh recharge" and details have to be entered like mobile number and amount. c) Thereafter select "proceed to coupons". In this option, user can select coupons by paying small amount of money. For instance, there are coupons worth Rs 50 at McDonalds that can be picked for Rs 5. There are other coupons for websites like Flipkart, Amazon, CCD, Myntra, Haldiram etc. This is where user gets most of the benefit and can save a lot of money. d)Choose the coupon and it is delivered to your registered email after the recharge. e) I have personally used the coupons for McDonalds and they work without any issue. This resource guides you through how you can do a free recharge using EmbeePay Facebook Application. EmbeePay is a Facebook Application free to use for all registered users of Facebook. With this, you just have to install the application and start viewing video and other adds to earn points. To know more about it, read following article carefully. I often recharge my mobile and DTH from the mobile apps of these sites. 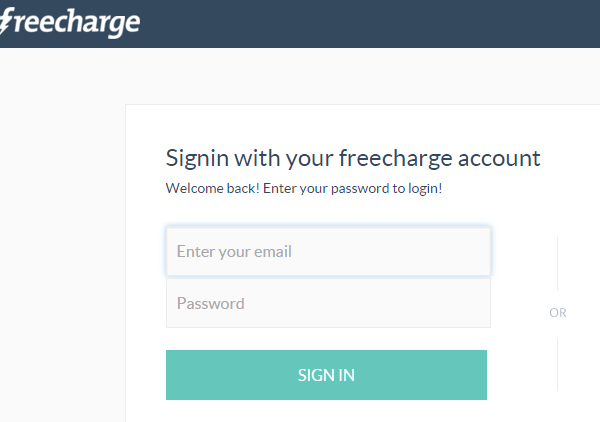 I am more fond of Freecharge.com as they give lucrative offers on recharge. You need to search for promo codes by googling "freecharge coupons". I normally use Mobikwik, Paytm and Freecharge.